Bring some PUP culture into your life. Pop Your Pup creates trendy, customized wrapped canvases and apparel featuring your pet. We recently received the crop tops and we are OBSESSED. The shirts capture our love for our dogs and their unique personalities. If you love your dog as much as us, chances are they're your phone background and just scrolling through your camera roll shows you're even more obsessed than Yolanda Hadid is with Gigi and Bella as seen on her kitchen wall. 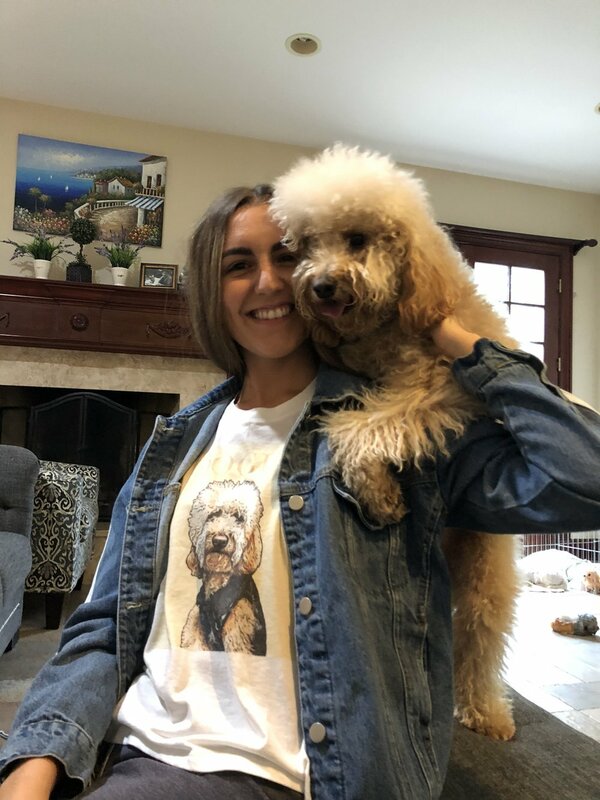 So, what's better than wearing a shirt with your pup's face on it? I'll tell you. NOTHING. Choose your product. Pop Your Pup has apparel and wrapped canvases. Upload a high quality photo. The in-house artists will use the photo to create a masterpiece of your pup that pops. Within 1 business day, Pop Your Pup will send the image to you to review. If you aren't satisfied, you can revise the image as many times as you want. There are many amazing backgrounds to choose from including bright colors, foods, and patterns. Of course, finally, don't forget to rock those shirts and hang those canvases high!